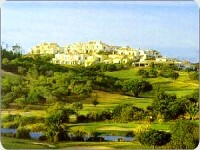 The location of this course is in the most western part of the Algarve. The architect of this course has created a fascinating course that presents visually attractive views of the surrounding countryside lined on the horizon by the sea. The fairways roll up and down through hills demanding accurate shots and good placing. The Par-3 fifteenth hole of 159 metres is a golfer's dream. 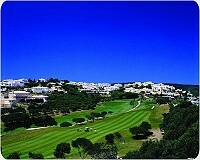 Players will find the combination of both fairly steep fairways and possible crosswinds will be quite demanding. 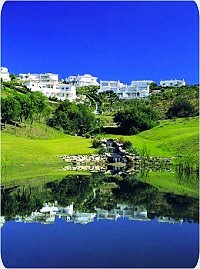 Via Infante (A22) - Drive west and take the Sagres Exit-1. After leaving the motorway the second roundabout joins with the Road EN 125. Bear to the right and follow the traffic towards Sagres. Keep going and in time you pass the village of Budens on the right. At the next traffic lights on the right hand side is the entrance to the course.